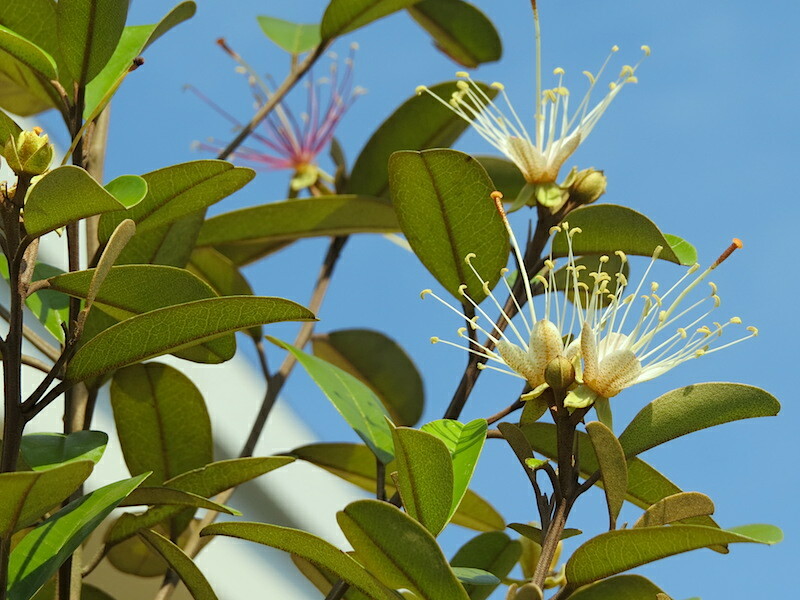 The flowers of Jamaica caper (Capparis jamaicensis) change color just a few hours after they emerge. New flowers are whitish but soon become a purplish-pink, as seen above on the large Jamaica caper now planted at the entryway of the Audubon House in place of the Christmas senna (Senna pendula), a Category 1 invasive pest plant mistakenly installed. Jamaica caper leaves are alternate, glossy green on top, and bronzed with shiny hairs on the bottom. In full sun its growth is quite compact and makes an attractive hedge. Its growth in shade is more open and tree-like. 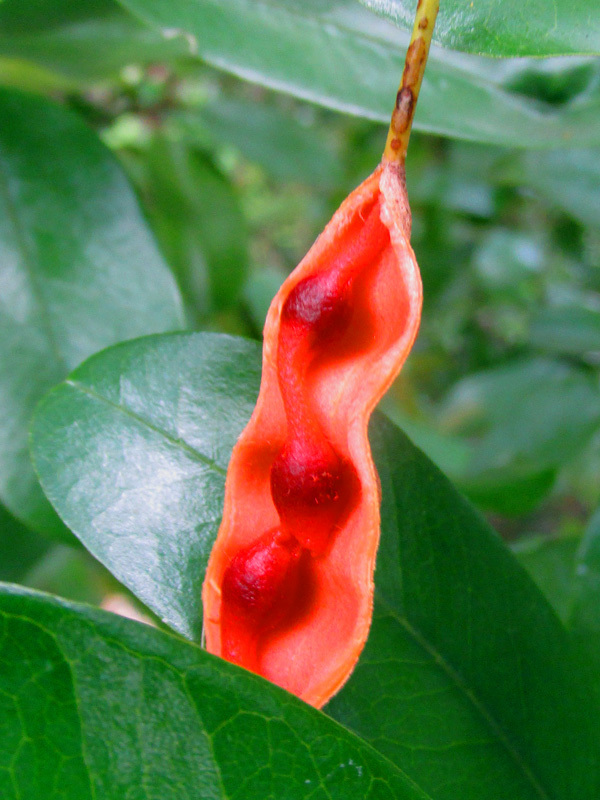 In Indian River County Jamaica caper is usually found growing in hammocks where this tropical plant is protected from sustained freezing temperatures. Its species name jamaicensis belies its tropical nature. 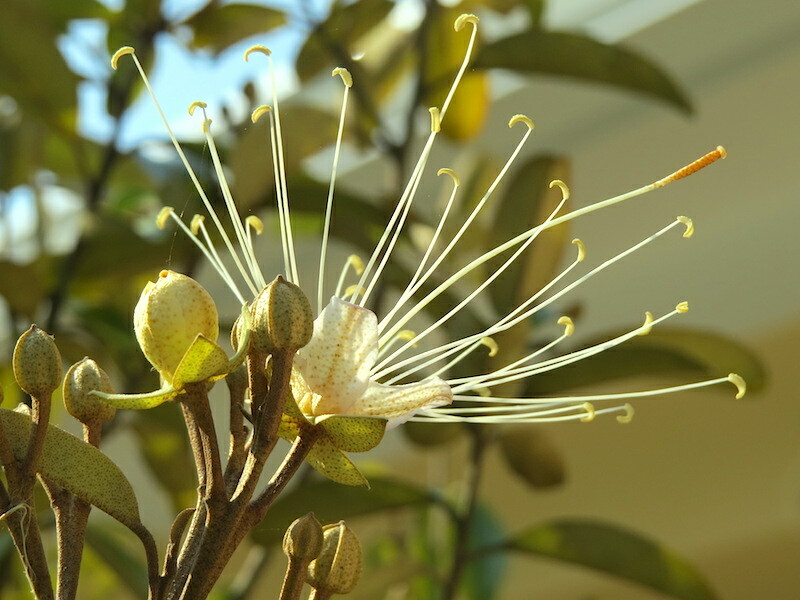 The scientific name once ascribed to this plant by the father of scientific nomenclature Carl Linnaeus, Capparis cynophallophora, demonstrates his mischievous sense of humor and means resembling a dog’s phallus. 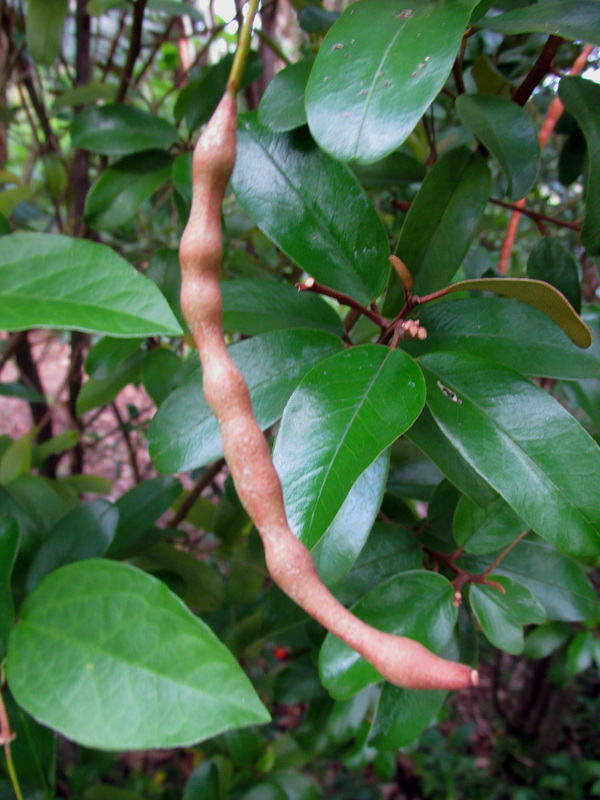 Unripe buds of a related plant that does not flourish in Florida, Capparis spinosa, are harvested, pickled, and sold as capers, the pea-sized dark green savory spheres used to flavor Medittearnean dishes. Jamaica caper can be an elegant addition to yard and, upon establishment, is drought-tolerant. Plant it to enjoy is color-changing flowers and dramatic fruits, to feed seed-eating birds, and as a larval host plant for the Florida white butterfly (Appias drusilla).